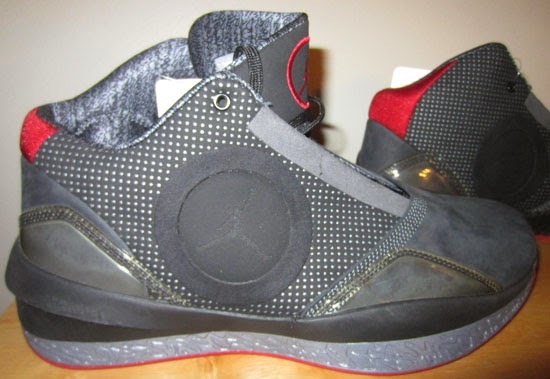 Before the Air Jordan 2010 came into its final production, it did not feature it's iconic "window" on the sides. Check out the auction here. 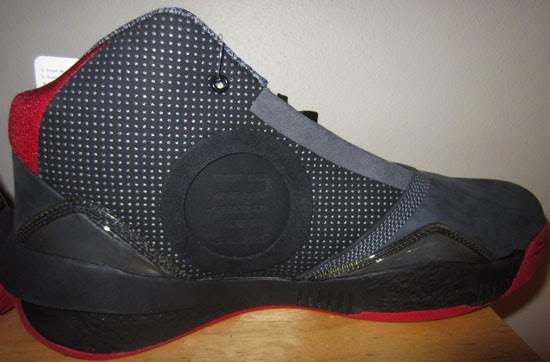 Three years ago, the Air Jordan 2010 was released featuring a unique "window" on the sides. There was a mixed reaction to this idea as some people hated it while others loved it. 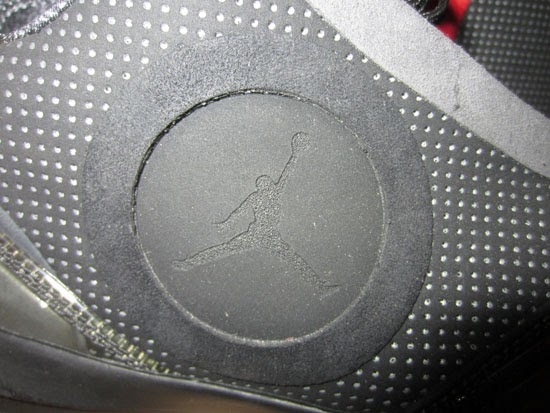 What some might not know is that during the early sample stages, the Air Jordan 2010 was made "windowless" as the plastic hole on the sides was covered up and featured a "Jumpman" logo on one side and the number "23" on the other. Of course, this version was eventually changed to feature the "window" design we are all common with today. 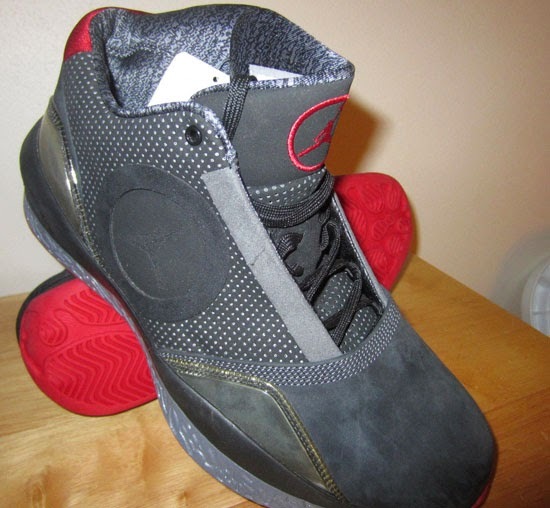 Another unique feature on this unreleased Air Jordan 2010 is the colorway. 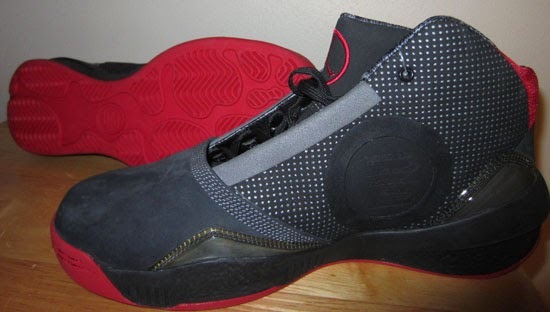 They come in black, flint grey and varsity red which were replaced by a black, dark charcoal and varsity red colorway instead. 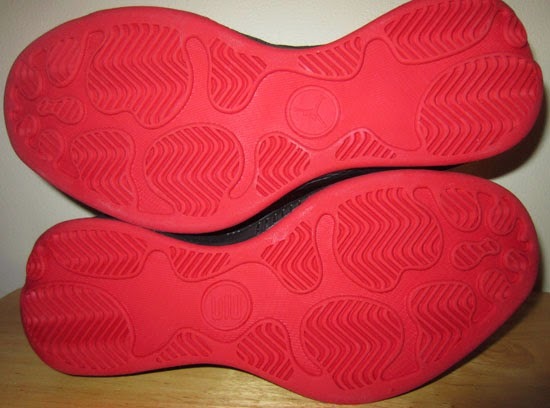 Why the change in colorway, we may never know but I have provided an image of my pairs of the released version for those looking to compare the two. 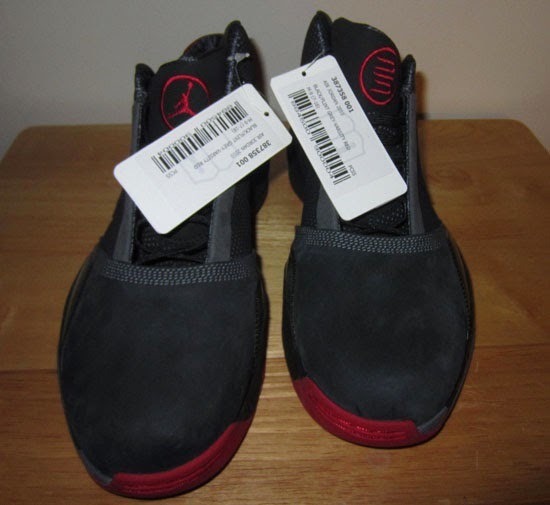 As this "windowless" version is a sample, it was never sold in stores or available to the public. Enjoy the images below of this "Windowless" Air Jordan 2010 Sample in black, flint grey and varsity red. 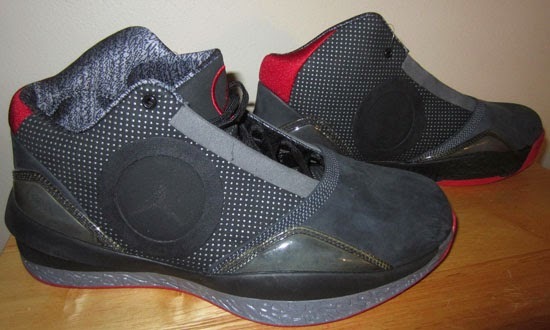 If you can fit a size 9 or would like to add these to your collection you can, grab them from eBay here.